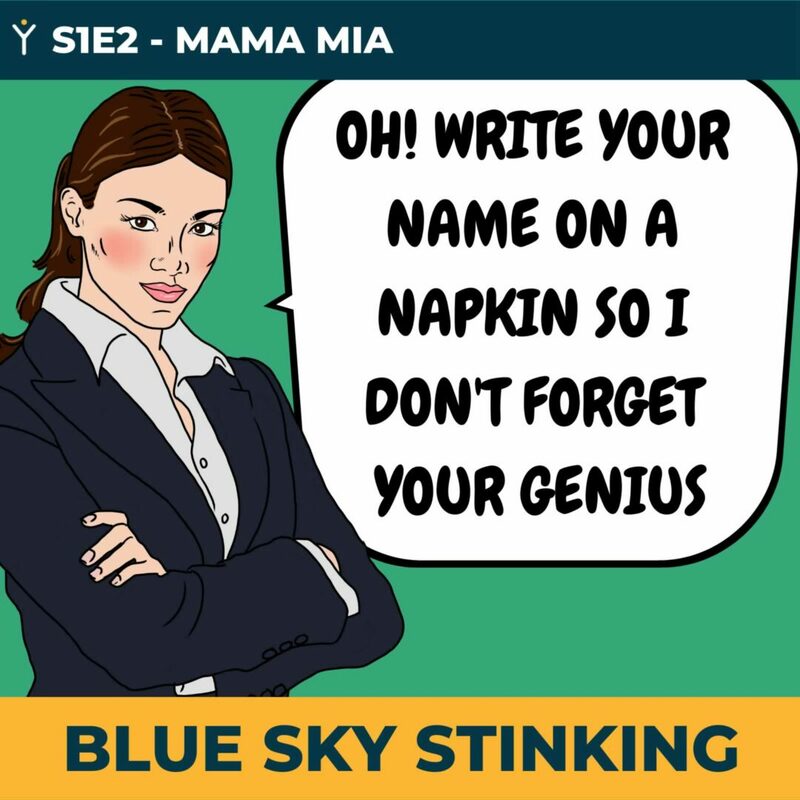 Having selected and shared her new company name, an overlap with another business forces Zelda to make some changes. Some of the practicalities of set up a new venture start to emerge. Every business suffers a calamity or two. Sometimes it’s unavoidable loss of a key member of the team. Maybe the biggest customers finds a cheaper, or shudder the thought, better company to deal with. There is always a risk that something can go wrong – it’s how you deal with it that counts. 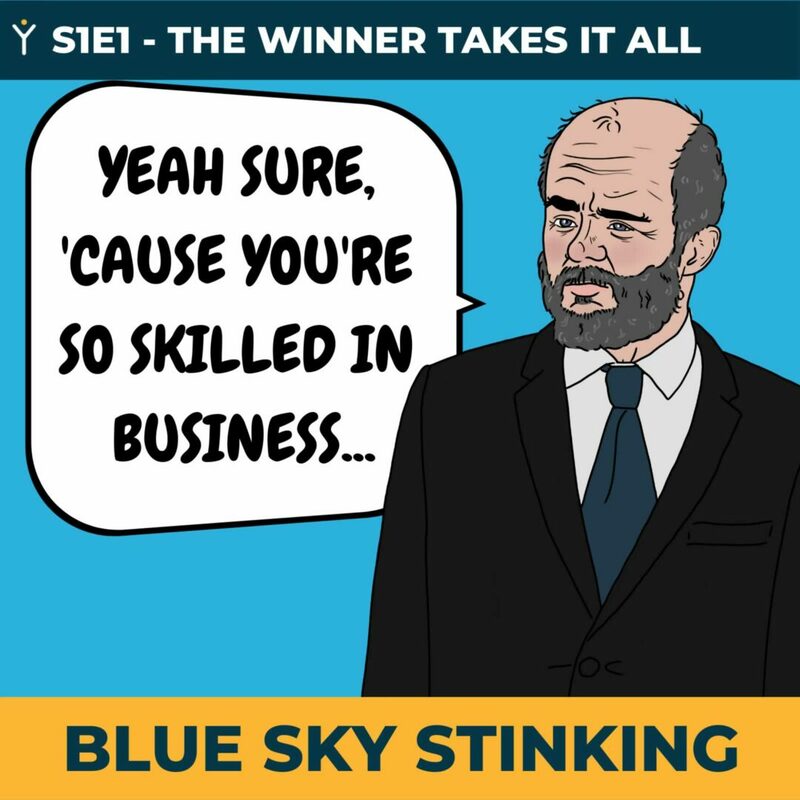 Diving into launching the business, by starting in partial competition with her father, Zelda considers some brave steps. However, striking up a business relationship with Jakob means having to make some sacrifices. Invention is a tough game; for example, when James Dyson invented his first Dual Cyclone vacuum cleaner he spent 15 years creating 5,126 versions that failed before he made one that worked. 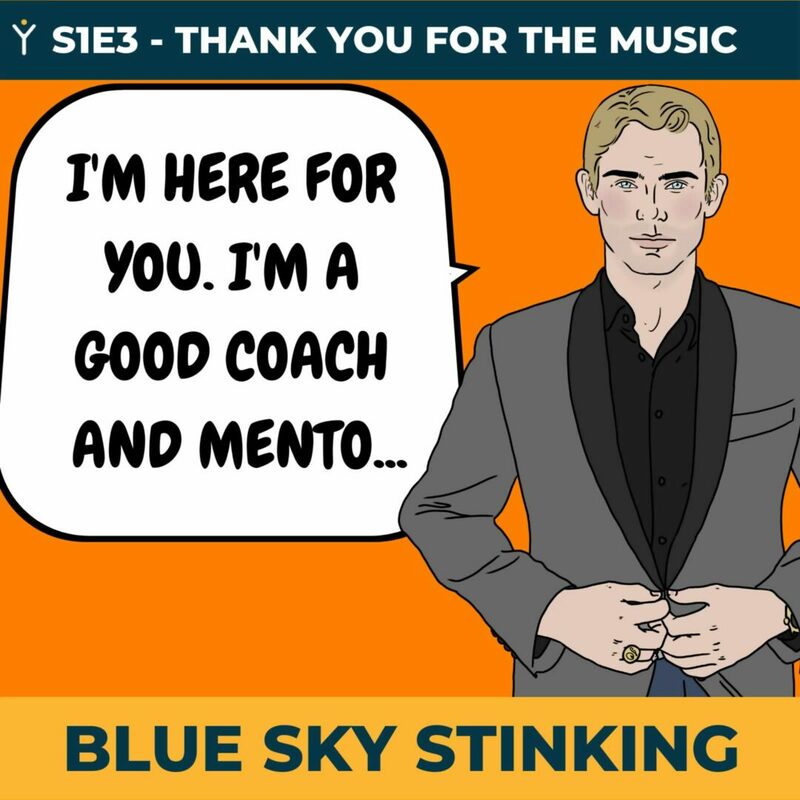 Mike Saville and Russell Cosway from Gydeline introduce the first episode of the Blue Sky Stinking podcast and discuss topics raised, including, good reasons for starting a business, getting sound advice and benefiting from mentoring and coaching. You hate your boss, your tired of putting all the hours in and getting no recognition, you think you can do a better job! All good reasons for maybe a change in job but to start a business will take patience, learning and some good old hard work. 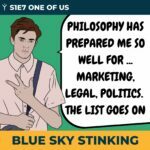 So, there’s a new podcast in town, with a spoof company called Sydeline. But who is Zelda, Jakob and Nero, find out about the characters from the first 6 episodes here.